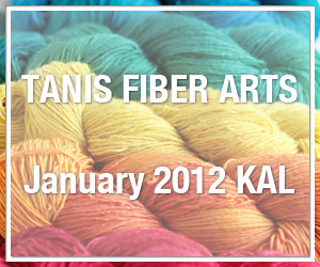 To be part of the January TFA KAL. Super quick pattern, I managed to finish the project in a single day. 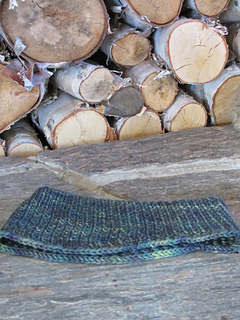 Adjusted Gauge for heavier wool and a denser headband. Making an ear band … other wise nothing really. 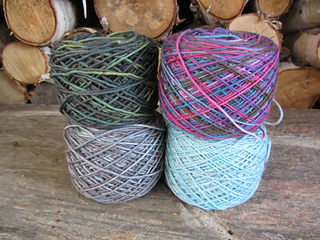 Yarn – As always Tanis has beautiful color, personally I find the Green Label a bit too tightly plyed, and sproing-y, for my taste, but it makes beautiful cables. 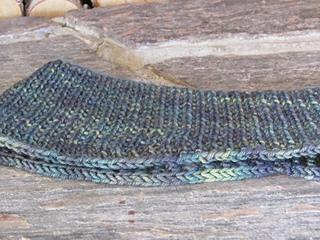 It certainly has it uses and it worked well in this pattern. Pattern – This was my first time getting all the way through an Anne Hanson pattern, I frogged two different lace scarves by her quite a while back (that was knitter failure not pattern failure). What she lacks in graphic design she makes up for in tech-editing (which is superb). Although the sheer extent of the size range can make the pattern a bit tough to make sure you reading the right number. Re-Knit? : Maybe. 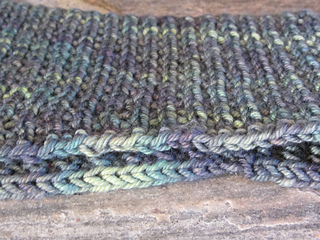 It is an attractive, quick pattern that makes a very functional item. 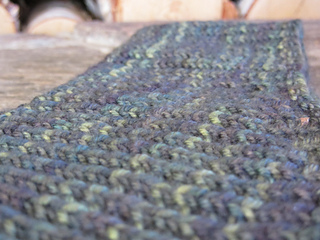 I might be tempted to use the shape and switch out the texture pattern to make it more interesting on a re-knit.